"iTunes keeps asking me to enter the password to unlock iPad Air backup file. But I couldn't call for it since I never checked the option for an encrypted backup when I chose to back up my iPad Air, which is so-called iPad 5. Then I tried the Apple account password, it reminded me that the password you entered to unlock your iPad Air backup was incorrect. Can somebody help me?" The password to unlock iPad Air backup file was set when iTunes asks you if you want to encrypt the backup file during the process of backing up your iPad Air on the computer. Actually it was set for the consideration of security. 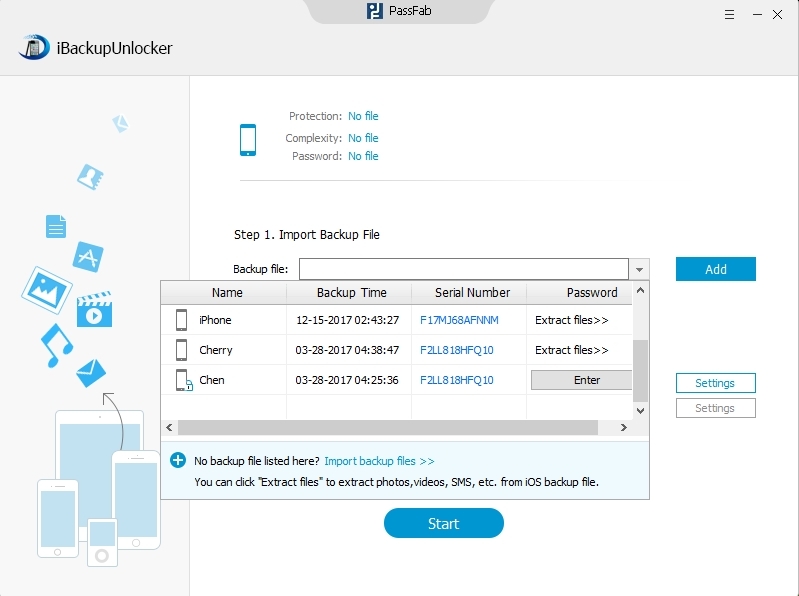 However, if you forgot the password, you will be in trouble since you can't restore from your iPad Air backup file anymore. 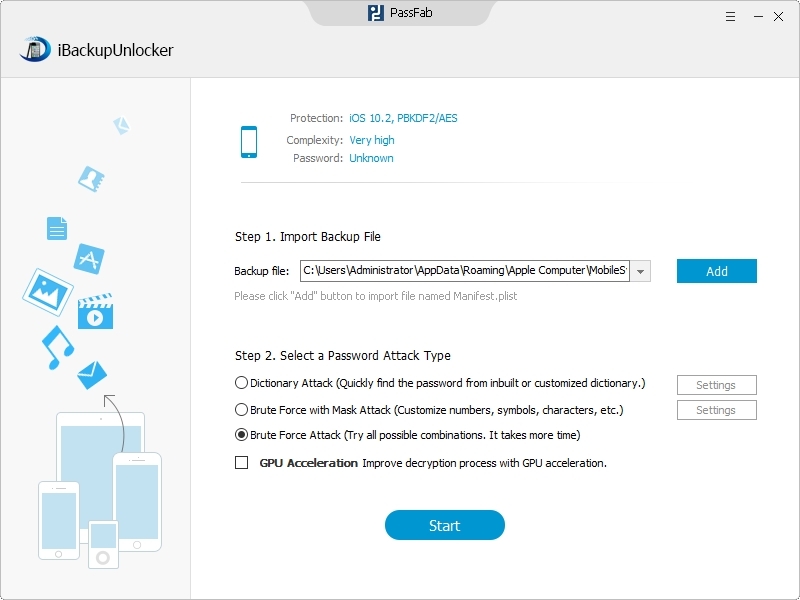 Thus, you need to try iPad Air backup password unlocker. Try your 4 digit unlock code for your device. If you have a more complex unlock code involving characters and such, try that too. Try 0000 as the password, sometimes the default password is in face 0000. Sometimes, the password can be a really old iTunes password that you set a long time ago but have changed it once. The original password is sometimes your backup password. This may be a bug in iTunes but try it and see if it works. If you have managed to attempt all the steps and nothing has worked. Keep on reading. Note: The default location differs from the operating system you run. Step 3. 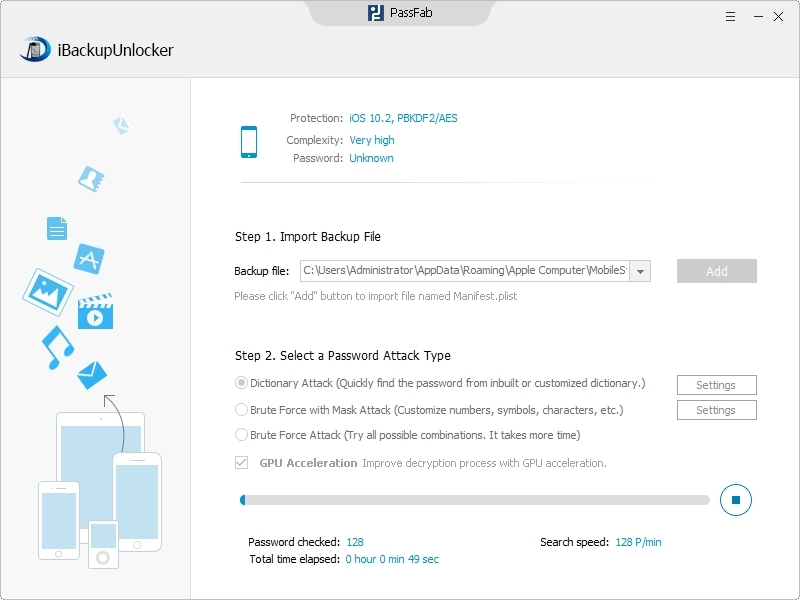 Click "Start" to unlock iPad 5 backup password. Finally, if you are asked to enter the password to unlock your iPad Air backup file again, you can just enter the new password. 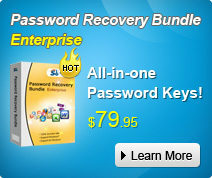 Try to use iTunes Backup Password Recovery as you need. Additional tip: How to unlock iPad Air without password? If you have the problem of forgetting iPad Air 4 digit code, you won't access your device unless you unlock the password. So try here to know how to unlock an iPad Air without knowing the password.